Add chapter markers for your videos. 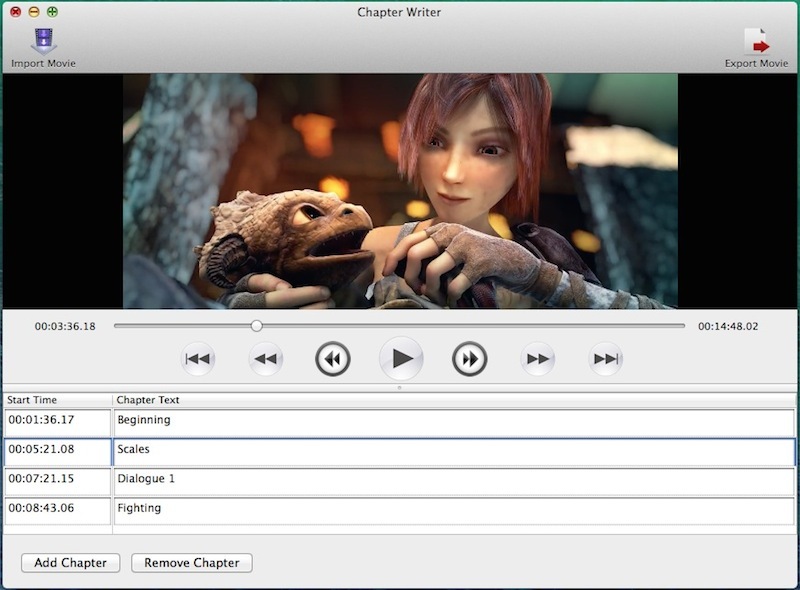 The chapters are compatible with Quicktime Player X and Quicktime Player 7. 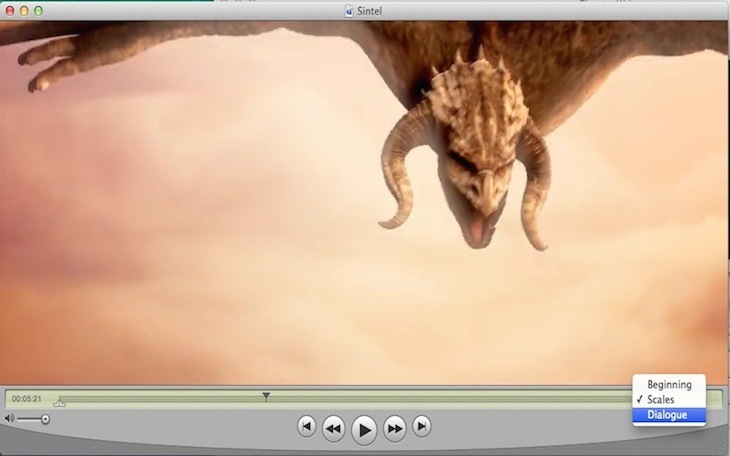 While most chapter apps only support mp4 files, Chapter Writer supports any kind of mov, m4v, mp4 and 3gp, no matter the video codec is.-Add new chapter track to the movie. -The timecode and text are linked to movie playhead. -You can FinalSRT on Mac App Store to import SRT Subtitles to Final Cut Pro X or 7. This entry was posted in FinalSub News and tagged add, chapter, chapter markers, chapters, create, how to, mac, mac os, make, marker, markers, movie, movies, on mac, os x, quicktime player, video, videos, write. Bookmark the permalink.